↑ Blu-ray FAQ. Blu-ray.com. Retrieved on 22 ਦਿਸੰਬਰ 2010. 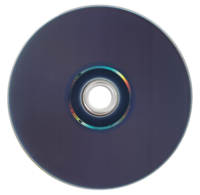 ↑ Toshiba Announces Discontinuation of HD DVD Businesses. Toshiba. 19 ਫ਼ਰਵਰੀ 2008. http://www.toshiba.co.jp/about/press/2008_02/pr1903.htm. Retrieved on 26 ਫ਼ਰਵਰੀ 2008. ↑ Yomiuri Shimbun. Page 1. 19 ਜੁਲਾਈ 2009. Ver. 13S.